Have you hugged your logistics people today? I could use a hug. However, having only my alts to hug me means that I am hugging myself and that is not a very satisfying experience. It is nice. I am a good hugger. I have to admit that someone else hugging is even better. I could write entire ballads about moving stuff in Eve. 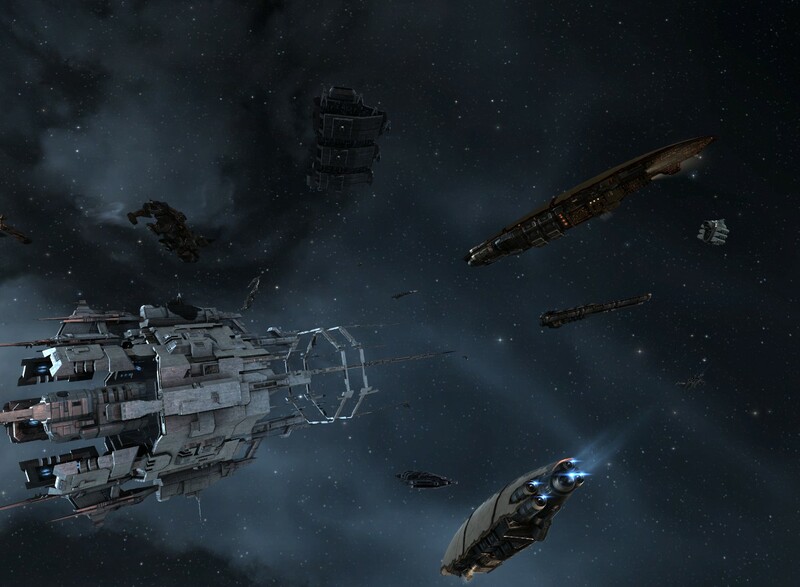 Warping across the starlanes of Eve is a lonely job. Only the chatter of local and corp to keep you occupied. As silly as it sounds and as boring as it is in a way there is a lot to learn about logistics. There is a lot to appreciate about what it takes to keep the machines of destruction fed. Of course, I may be the one that feels that way because I do the logistics. Yet, I will say, that the boys never leave me feeling unappreciated. They are damn appreciative that they are not the ones slogging through space between our home and the trade hubs. It helps. The roads are long and the decisions tedious. Do I take my Charon or the Orca? How is my tank? What is the value in my hold? I've taken to using other people for high end stuff. I've had a very successful DED complex run recently. I've pulled about 2 bil in modules over the last week. With each module having a market value of 3-700 million I've decided to let others take the risk for me. I get it to Rens and then write individual courier contracts with the collateral just above market value for the item. I then ship it to Jita where my market/industry character lives around the Forge and works to sell them. On the other side, I then buy booster material that I need and ship that back down to low sec. That is when I have to sit down and make sure that I do not turn myself into a Pinata. It is tempting to shove just one more thing into the cargo hold. But at the same time, I like my ships. I do other things while I haul in the background. Such as write about hauling. Sometimes I fail haul. I decided to drag a load down to Teon in my Orca. I managed to drop off half, forget that Orca's have more than one place to store goodies, and drag it all back up to Jita. Sigh. My poor oxygen isotopes. Somehow that managed to be my entire day. Moving stuff from high sec into low sec. Once I hit the border I break it down into blockade runner fulls. One after another, jump jump dump jump jump grab over and over again. I'm rather tired and all I did was move stuff all day long. But it is part of the entire thing. "Hello, today I spent my video game time moving things! I calculated cargo loads and started POS processes, refueled towers and forgot fuel for my capital ship!" With the exception of forgetting my fuel, I've managed to get my towers stocked up, refuled, supplies out, supplies, in. I was running low on Drop and got more gas in to react that. I got stuff out, shiny things sold, made ISK, still haven't dropped the ISK on Talos and in general had a very productive housekeeping day. But it took all day. Love your logistics people. Sometimes you wonder if your freighter is even going to warp. Did you remember to hit the button? Are you just idling... oh no wait... its moving. Kinda. Why don't you buy a Jump Freighter? You could jump out of highsec saving lot of gates within highsec and in one more jump arrive to your lowsec base. Because they cost 6-8b ISK and my income isn't great enough to replace that for months and months.